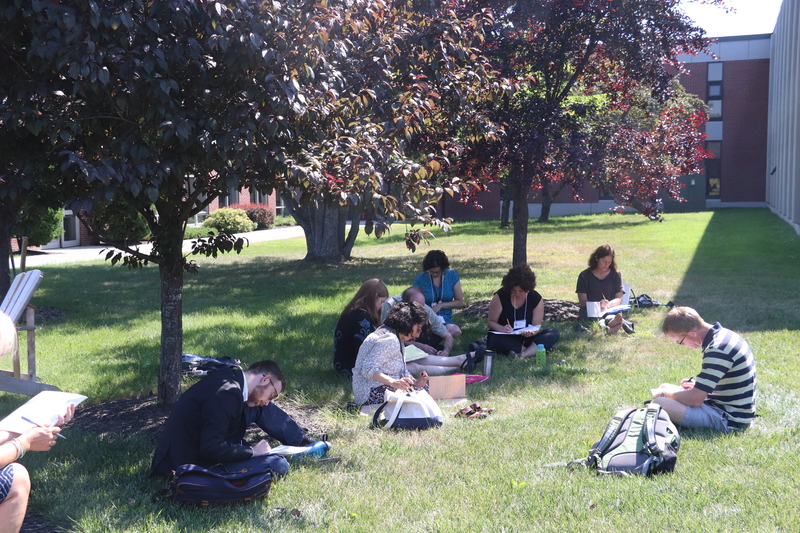 As I take a few minutes to reflect on the Maine Arts Leadership Initiative (MALI) Summer Institute that was held last week at Thomas College for three days I can’t help but think about what MALI is really all about. If I had to select one word it would be COMMUNITY. As many of you know there are about 1200 visual and performing arts educators in the state and I really don’t know how many teaching artists there are throughout Maine. Both were well represented last week. 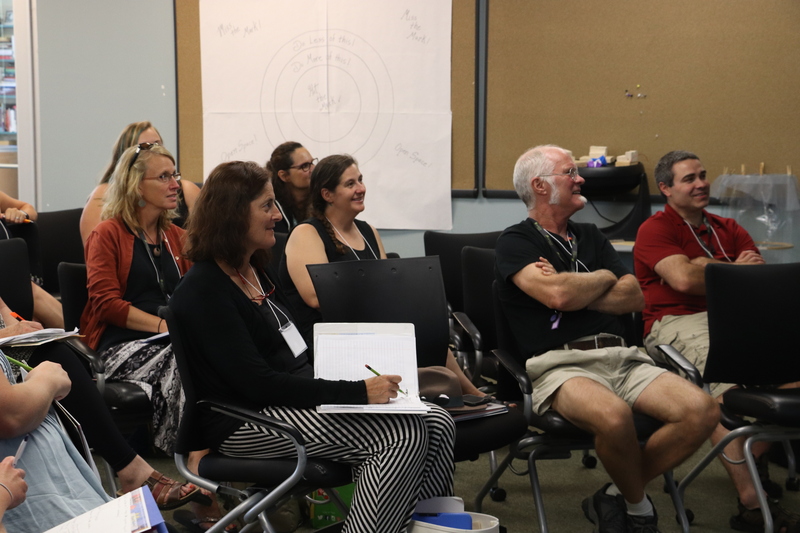 Bottom line, each of the participants were teachers, striving to be better at teaching and the desire to connect with others who care deeply about arts education. Wow, I am so humbled by their commitment and proud of what they accomplished in three days! MALI is a community that provides ongoing support. Teachers learn that they have peers throughout the state experiencing the same or similar situations that they do day to day. They no longer feel like islands. 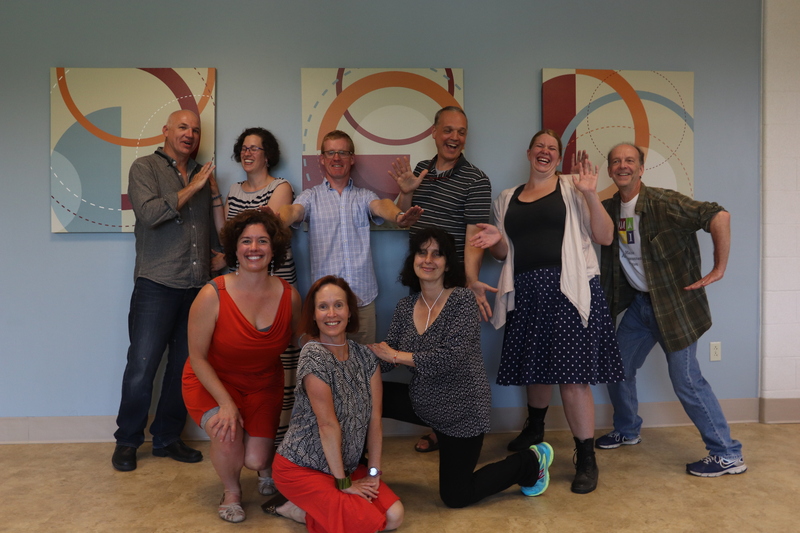 This summer’s institute had three strands; one for Teaching Artist Leaders, one for returning TLs and one for new TLs. The strands are customized for the unique group and individual needs. The strands came together for cross pollination and collaborations are formed. All of the ideas are based on research and what is in the best interest of teacher development. A Design Team guides the work of MALI and plan every detail of the summer institute. They are totally committed to contributing above and beyond. The MALI community grows each year with some teacher leaders returning year after year. Through their work TLs find their voice and are invigorated to return to their school districts. Many are recognized in their new leadership role and are invited to the table at the local level. They serve on district leadership committees, lead the school and district professional development work for all subjects and grade level teachers, and are honored for their leadership. The institute schedule is different each year to adapt to the changing needs but the foundation is built on What is good teaching? What is good learning? What is good assessment? 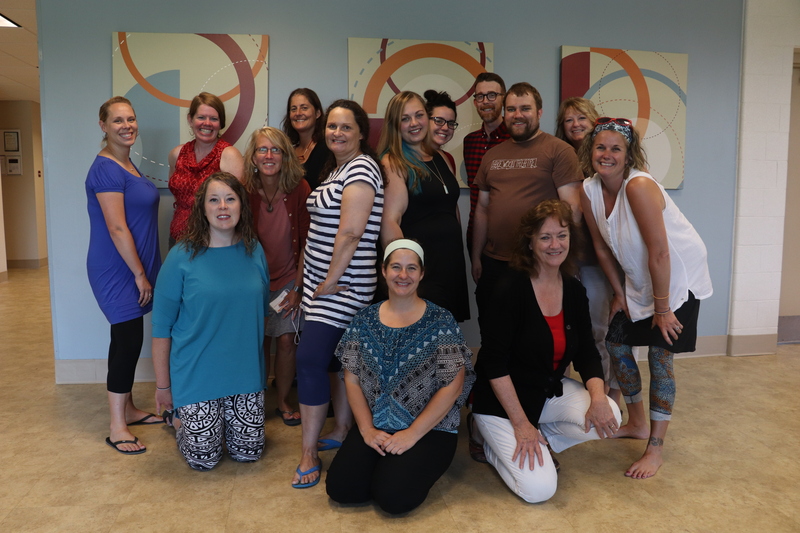 In 2015 Teacher Leaders created a set of Belief Statements on that include the topics that are vital to Maine arts education today: Arts Integration, Advocacy, Assessment Literacy, Creativity and 21st Century Skills, Educator Effectiveness, Effective Teaching and Learning, Proficiency Based Learning and Student Centered Learning, and Teacher Leadership. Teachers are connected and become Critical Friends to help support each other’s teaching. So, what makes involvement in the MALI community so special? Some of the MALI Teacher Leaders (TL) and Teaching Artists Leaders (TAL) will be sharing their learning in a workshop format at the local or regional level. Others will be continuously sharing in a social media mode. 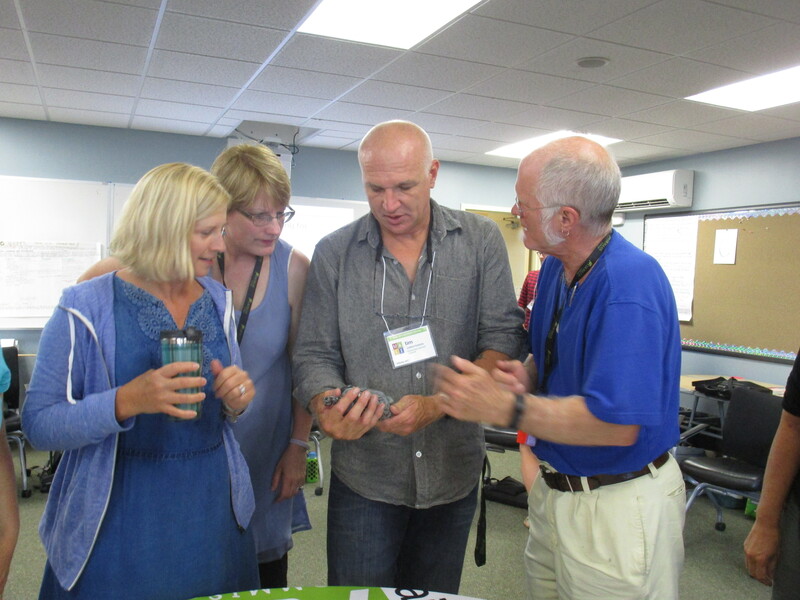 The Phase 7 summer institute was really about customizing the learning for each educator. 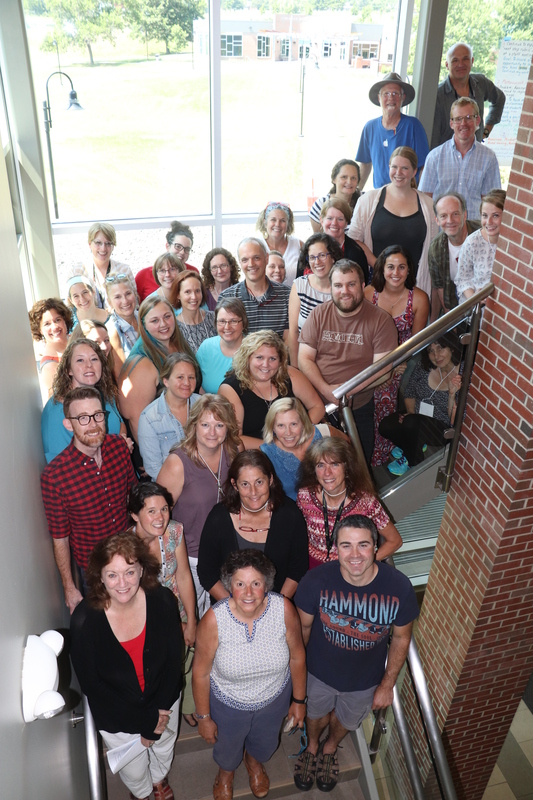 I will keep you posted as they wrap up their plans for the school year I will share the information here on the blog and also on the Maine Arts Assessment site and through the communications that are delivered by the Maine Arts Commission. Please let me know (argy.nestor@maine.gov) if you have any questions and are interested in applying to be involved as a Teacher Leader or Teaching Artist Leader for Phase 8. Looks like a lot of fun, and great leadership/learning experience. Sorry I missed it but hope to be a part of it next year. Thank you Argy for your reflections which give all a reminder of how important networking is.